DSI’s 4th Military Additive Manufacturing Summit & Technology Showcase is designed as an educational & training “Town Hall” forum, where thought leaders & key policy-makers across Military services, defense agencies, & civilian organizations can come together for actionable discussions & debate. This year’s summit will focus on the latest revolutionary technologies & innovations being developed to further various additive manufacturing processes & current level of capability, in order to deliver greater flexibility to the Warfighter on the battlefield. The below information reflects the 2019 summit. Details on the 2020 Summit will be available soon. - DSI’s Summit directly supports DoD and Federal Government priorities by providing a conduit for officials to efficiently reach audiences outside of their respective offices that directly impact their department's mission success, at no charge to the government, and in an efficient expenditure of time. 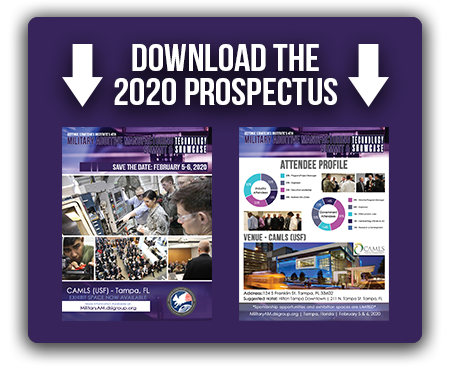 - The Summit is open and complimentary to all DoD and Federal employees and is considered an educational training forum, and a widely attended gathering. The Military Additive Manufacturing Summit provides opportunities including exhibit space, round table discussions, product demonstrations, and networking receptions. According to recent reports, the aerospace and defense 3D printing market is expected to surpass 4 billion by 2023 and is projected to increase 23.2 percent annually over the next five years. Manufacturers across a broad spectrum of industries including automotive, aerospace, high tech, and medical products are all piloting and using 3D printing technologies today. The US Military is taking advantage of these 3D printed components, integrating them into the various US military services for reduced maintenance and production costs. Additive manufacturing has proven that it can allow the Warfighter to print spares and other vital materials at the point of need, not having to operate under restricted time schedules. 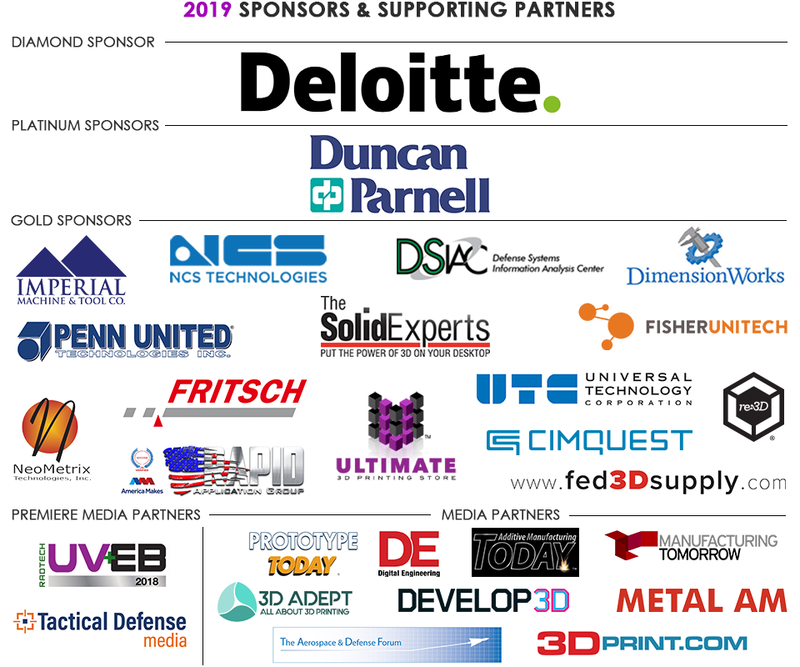 This 2019 Military Additive Manufacturing Summit will detail how through the use of 3D printing solutions, the Military is able to enhance their sustainment capabilities, minimizing the costs associated with having to purchase, transport, and store additional resources. Additive manufacturing has enabled the Warfighter increased operational flexibility in deployed environments. Panels at this event will explain how the Military logistics supply chain has become more efficient through the implementation of expeditionary printing methods and various AM cutting-edge innovations, producing a more self-sufficient and agile force in austere and contested environments. This Summit also will touch on metal additive manufacturing and how this 3D printing method can revolutionize the production of large steel structures by replicating them in a short period of time. The process occurs when taking a base material, usually in the form of a metal powder and using heat generated by lasers to build a form. The Navy has also taken the first steps to explore different forms of 3D technology on a large scale by producing small submarines from these new, elaborate manufacturing processes. Ultimately, this forum will offer additive manufacturing solution providers, members from Government, and leaders in academia the opportunity to hear from some of the US Military’s most senior and qualified subject matter experts on the future role of additive manufacturing advancing Warfighter readiness and over operational effectiveness.